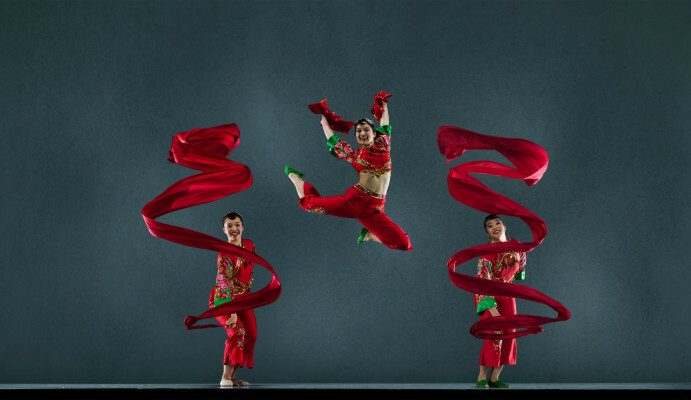 Mr. Yao is an internationally renowned dancer, choreographer and dance instructor from Beijing. He began dancing with the Hubei Province Dance Company at the age of twelve. In this company he was trained in Chinese classical and folk dance technique as well as ballet basics. In 1980 Mr. Yao won a first place individual dancers award for Hubei Province and third place in the China National Dance Competition. Later that year, Mr. Yao was chosen for college level training at the Beijing Dance Academy, the most prestigious dance school of China. Even as a student in a select group trained by master to become masters themselves, Mr. Yao demonstrated his talents not only as a performer, a leader, but also a choreographer full of refreshing ideas in presenting a theme, a style, a tradition. Upon receiving a degree with honors in the teaching of Chinese dance from the Beijing Dance Academy, Mr. Yao was invited to join the academy faculty. During this period, besides his teaching responsibilities as a lecturer, Mr. Yao choreographed and performed a number of works, including the first place choreography and performance prize winning “Gallop”. In 1986, Mr. Yao was choreographer and director to China Young Children’s Company which toured New York, Washington D.C. and Los Angeles. He was then appointed choreographer and principal dancer of the China Premier Dancers Delegation on it 1987 tour to Singapore and 1988 appearance at the World Arts Festival in Utah, Idaho and Montana. He returned to Singapore in 1988 as choreographer and principal dancer for the Beijing Dance Academy Young Artists Delegation. The Delegation also performed in Hong Kong to rave reviews for his new work, “Yellow River Suite,” a contemporary piece which adopted modern dance techniques in depicting Chinese historical themes. 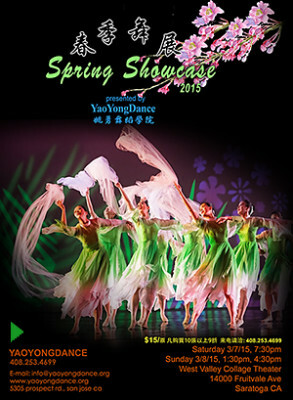 “Yellow River Suite” won first place in choreography at the Beijing Dance Competition later that year. 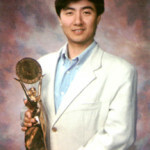 In 1989, “Yellow River Suite” was awarded first place in performance by the Ministry of Culture of China, while his classical piece “Goddess Luo” won third place in the same competition. 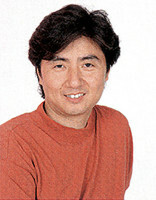 In 1990, Mr. Yao came to the United States to study modern dance at Cunningham Dance School in New York. He then received an International Dance grant and taught Chinese folk dance and ballet at Snow College, Utah, until joining CPAA in 1991. In the capacity of Artistic Director, Choreographer and Principal Dancer of CPAA since its founding, Mr. Yao both provides artistic direction and choreographed many new works for the company. 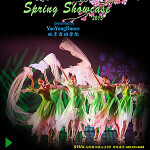 In the “Chinese Performing Arts Festival” of the past four years, Mr. Yao displayed his superb talent as a choreographer by a wide range of themes, techniques and flavor in his works: “Music in the Moonlight” and “Flower Drum Festival” in 1992;”Drums of Thunder” and the “Dandelion” in 1993; “Dream of Shangri-La” and “Anhui Lion Dance” in 1994; “Nocturne of the Muses,” “Princess Sweet Fragrance” and “Sorrow of the Great Wall” in 1995. “Sorrow of the Great Wall,” a dance drama, was especially well receive by critics and audiences alike. It was hailed as one of the most outstanding Chinese dances in recent years. In addition, Mr. Yao taught master classes at De Anza College, San Jose Dance Theater and CPAA’s own South Bay Dance Academy. His choreography for the tremendously popular Theatre Works production of M. Butterfly won high critical acclaim and was nominated for Bay Area Theatre Critics Circle’s “Choreography in a Drama” Outstanding Achievement Award in 1993. In the same year, he awarded a fellowship by the Arts Council of Santa Clara County for his choreographic achievements. 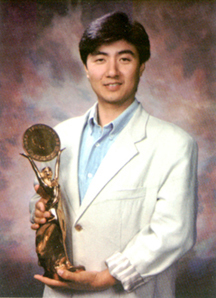 In 1994, China awarded Mr. Yao the highest honor for a choreographer. In a nationwide critical evaluation of dance in 20th Century China, jointly held by China Dancers Association, Arts Research Institute of China, China Literary and Artistic Alliance and other prestigious arts organizations with the endorsement of the Ministry of Culture, Mr. Yao’s “Yellow River Suite” was voted one of 32 “20th Century Masterpieces by Chinese Dancers,” from 3,300 outstanding dances created in the past 100 years. CPAA is very fortunate to have an artist of his caliber at the helms to guide and insure high quality of it repertoire, artists and performances. Mr. Yao is listed in Who’s Who of Contemporary China. Mr. Yao and Dennis Nahat, Artistic Director of Ballet San Jose, jointly choreographed a full length dance drama “Middle Kingdom Ancient China”, which premiered in February of 2005. Mr. Yao also choreographed “Moon Reflection on Crystal Spring” for Ballet San Jose in April of 2006. He received the Santa Clara County Asian Hero Award in 2006, which was featured on ABC’s “Profile of Excellence” in 2008. He joined Hubei Opera and Dance Drama Theatre as Dance Director in 2010.